Are you one of the millions of Canadians getting a tax refund this year? According to the Canada Revenue Agency, 56% of the individual tax returns processed in the 2018 tax-filing season received a refund (almost 17 million people! ), with an average refund amount of $1,768. If that’s you, what should you do with your tax refund? Vancity members can save 20% on TurboTax products using our referral link. First, it’s important to remember that it’s not a windfall – it’s actually your own money coming back to you. If you get a sizeable refund every year, you might be getting too much tax deducted from your paycheque. Ask your employer to make sure you’re contributing the right amount towards your tax deduction. Then again, some folks don’t mind giving the government an interest-free loan because getting a lump sum at the end of the year allows them to save more easily than putting savings aside every month. Does that sound like you? If so, don’t sweat about changing your tax deductions – just make sure you put most of your tax refund to good use. Paying down debt is usually the first financial priority for most people. Many credit cards are among the highest form of consumer debt, with some interest rates as high as 30% annually. Here are eight tips to help reduce your debt. Emergency funds vary widely from person to person. The regular recommendation is six months’ worth of expenses, but some prefer having nine months’ or a year’s worth tucked away. It’s a significant amount, as it should be – it’s what you would be living off if you didn’t have an income for an extended period of time. Ultimately, your emergency fund is about your peace of mind. Design it to fit your specific needs. Learn more about what types of expense should – and shouldn’t – be dealt with by an emergency fund. Is there a new skill you could be learning related to your work? An association you could join, conference you could attend or workshop you could take? A small investment in yourself and your career can pay off in increased earning potential and marketability. Read our guest post from artist and entrepreneur Sandeep Johal, who talks about the importance of investing in herself. If you have a mortgage, think about applying your tax refund against it to help pay it down more quickly. 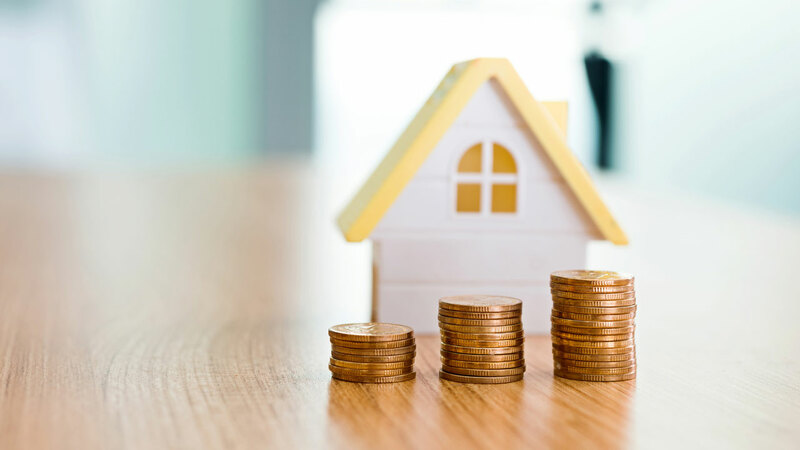 If you’re saving up to buy your first home, consider saving your tax refund in an RRSP and using the Home Buyers’ Plan for a tax-free withdrawal to help with the purchase of your first home. Your retirement may seem far away, but it’s never too early to start thinking about it. The earlier you start saving, the more time your contributions have to compound and grow. Both the RRSP and TFSA have lots to offer when it comes to saving for your retirement. However, retirement shouldn’t be the top financial priority for everyone. Read some examples of when you may need to look at the big picture and let retirement planning take a backseat to more urgent financial issues. If you have children, consider using your tax refund to contribute to an RESP (Registered Education Savings Plan) to invest in their education. You can take advantage of the free money available. B.C. families have the opportunity to access a total of $8,400 in RESP grants per child. Lower-income families can access more ($10,400 per child), including $3,200 that requires no contribution in order to claim it. Here are five RESP tips every parent should know. Consider joining a gym, investing in sports or exercise equipment that will keep you active. Why not consider enrolling in other fitness, health, stress management or nutrition activities? Keep in mind that being healthy doesn’t have to cost an arm and a leg. Here are eight tips to get fit on a budget. Want to check the status of your return? Consider using the SecureKey Concierge service, which allows you to use your Vancity online banking credentials to log in to your personal CRA account without having to keep track of yet another user ID and password.